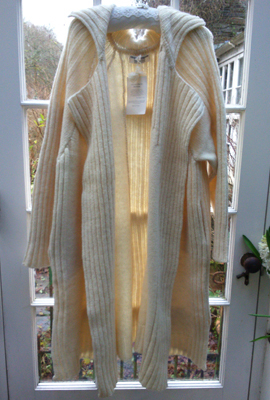 My signature long, open-fronted cardigan/coat. Raglan sleeved, rib detail on the front and back, side pockets and side splits. This is a wonderful coat to wear. In natural undyed Dorset wool and cashmere.